In my quest for healthy alternatives for snacks and sweets, I took a stab at making kale chips. I’m happy to say they were de-li-cious. You can pretty much make them in any flavor with spices you have on hand. They take only ten minutes to make and have quickly become a favorite midday snacks. If you’re looking for a sweet option to counter this savory treat, check out the one minute chocolate chip cookie and the no-bake coconut snowballs (gluten-free, nut-free, and vegan). I’m going to start out by showing you the most basic way to make kale chips, and you can change it up with spices. Start by picking out a bunch of kale. 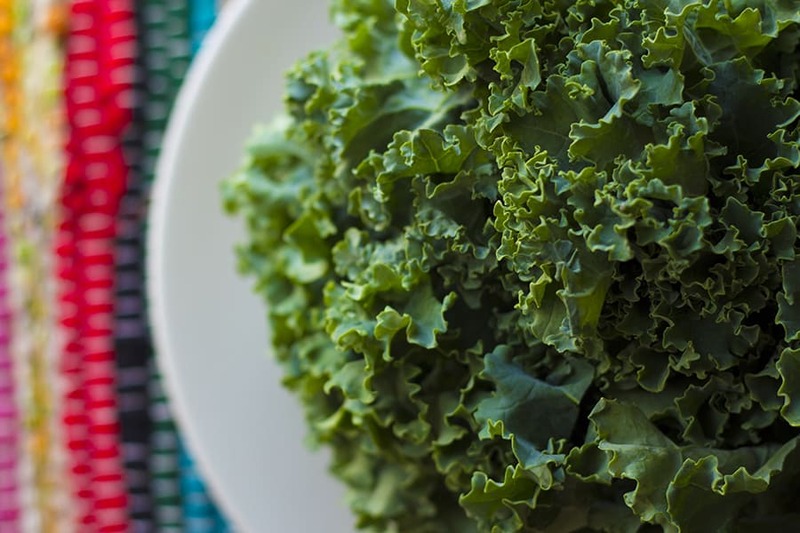 You can use curly kale or lacinato kale. 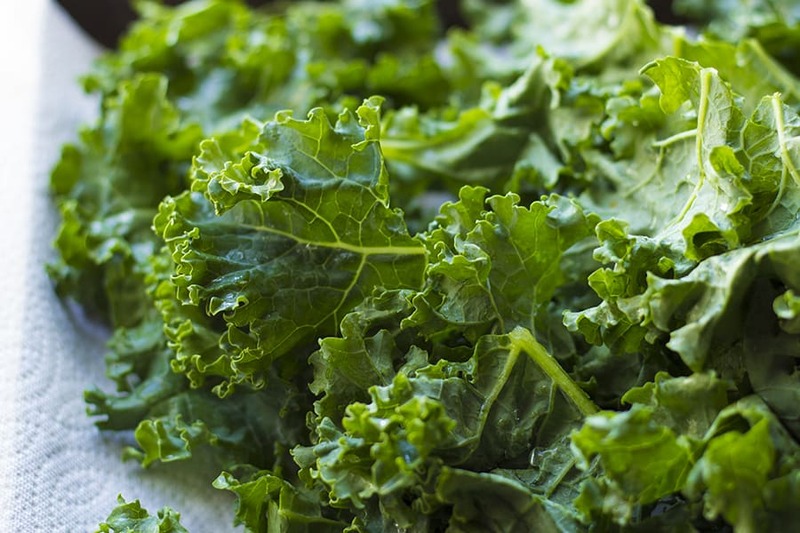 Wash kale thoroughly and lay on a paper towel to dry. 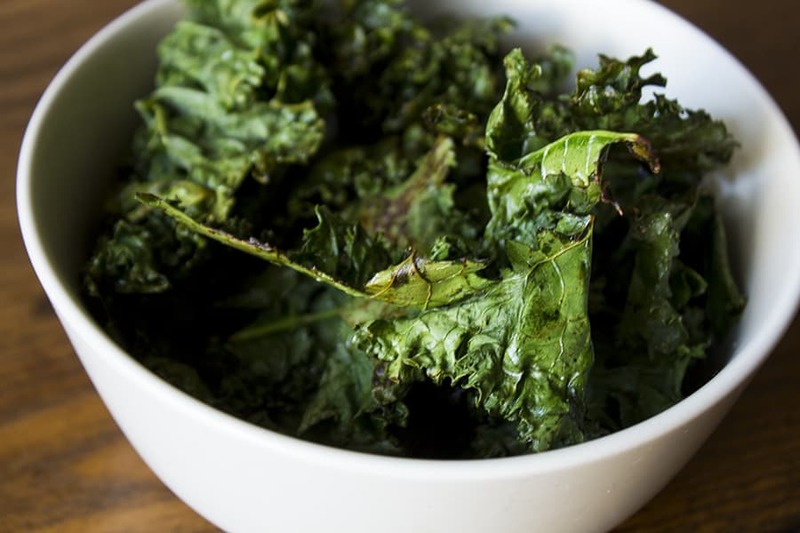 Make sure your kale is completely dry or else it doesn’t get crispy in the oven. 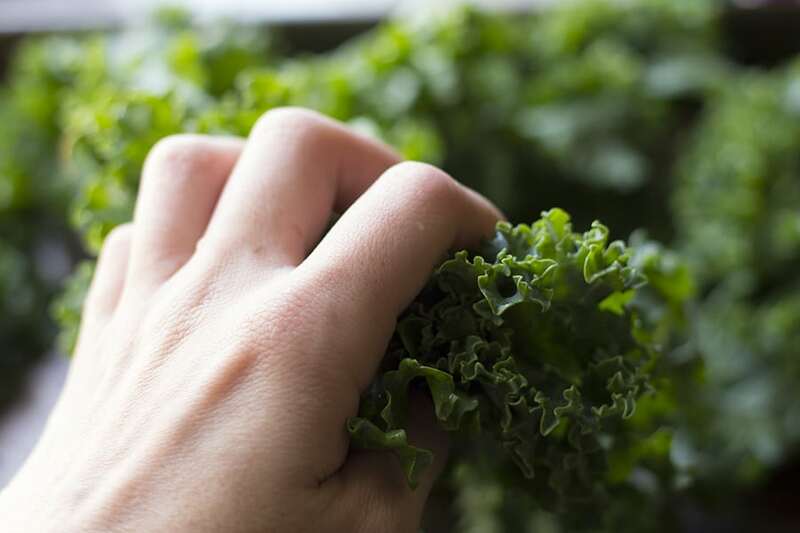 Cut out the center rib of the kale, or just tear the leaves off. 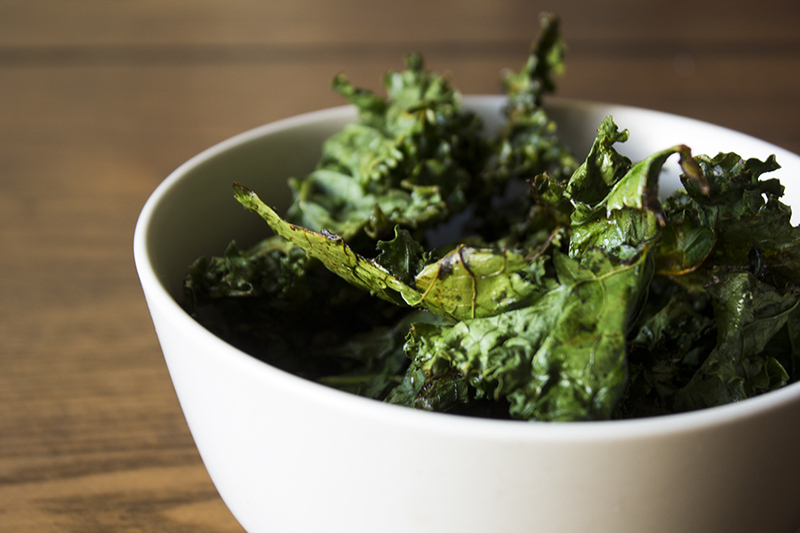 Drizzle 1 tbsp of olive oil onto your dried kale. Mix together with your hands to make sure each piece is coated. This is the point in which you’ll also add your seasonings. I made one batch with sea salt and garlic powder sprinkled on top, and another with just 2 tsp of soy sauce mixed in with the oil. Experiment to find the flavor you love. I’ve heard Sriracha mixed in with olive oil can be fantastic too. Place on a baking sheet in the oven at 300 degrees Fahrenheit for about 10-12 minutes. The time may vary depending on your oven. I would take a peek at them at about eight minutes to see how they are coming along. Allow to cool and enjoy! Use your leftover kale to make a Kale, Peach, and Roasted Almond Salad. I use sesame oil in place of olive oil, which gives it a great flavor as well.